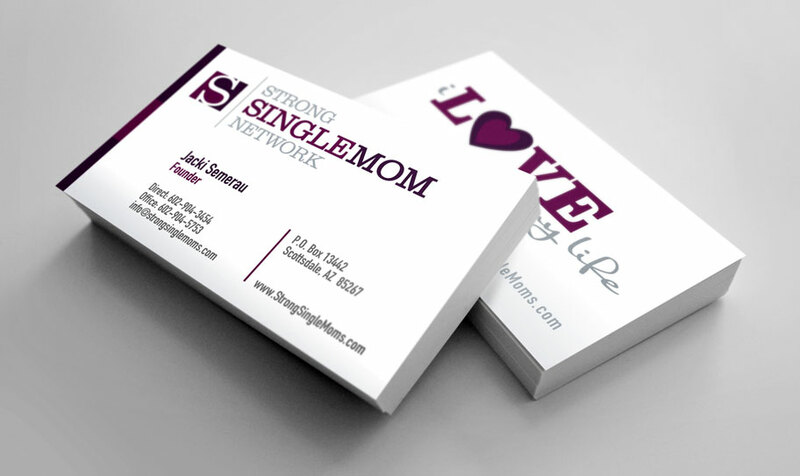 Strong Single Mom Network provided encouragement and resources to this underserved group. We designed their logo and business cards, as well as some promotional items and digital collateral. An integral part of her logo (and her outlook on the world), the tagline “I love my life” is the mantra of this group and a very important part of their identity.